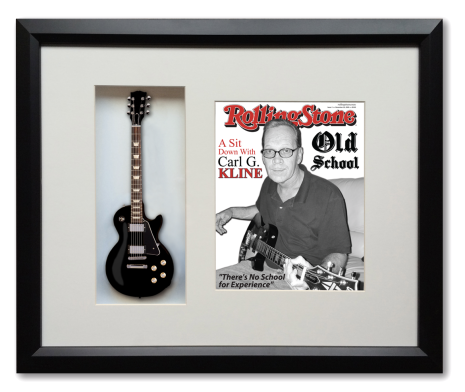 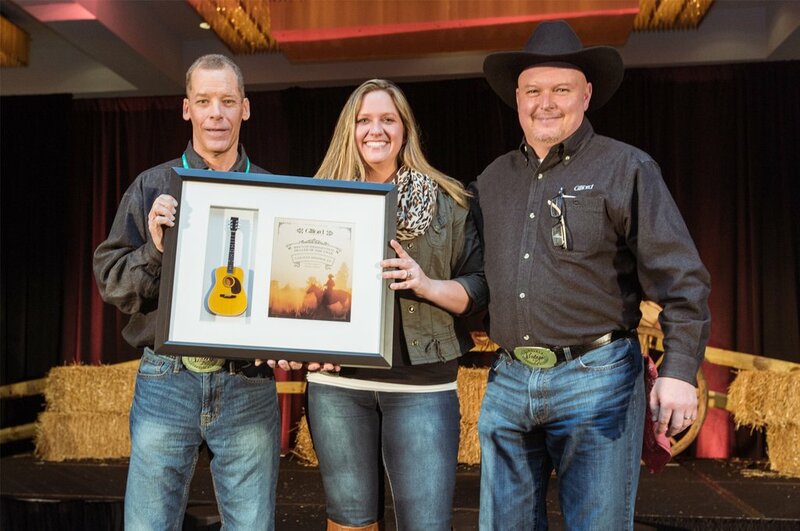 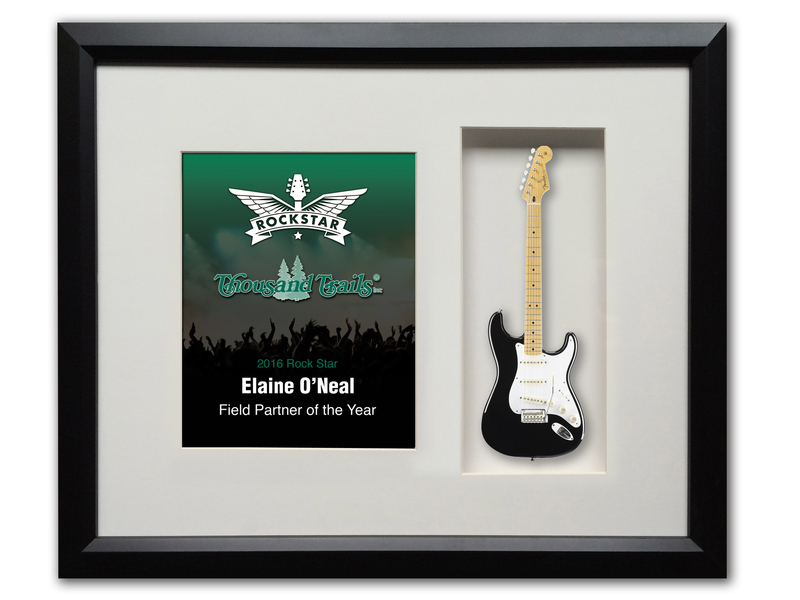 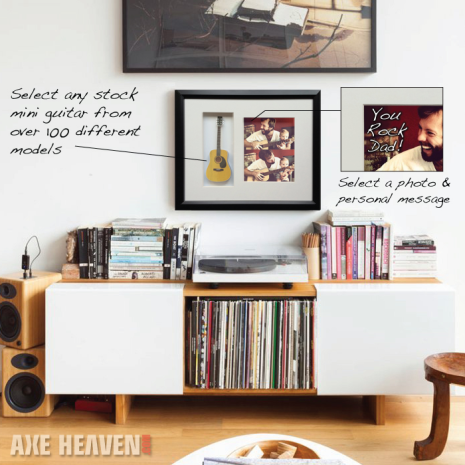 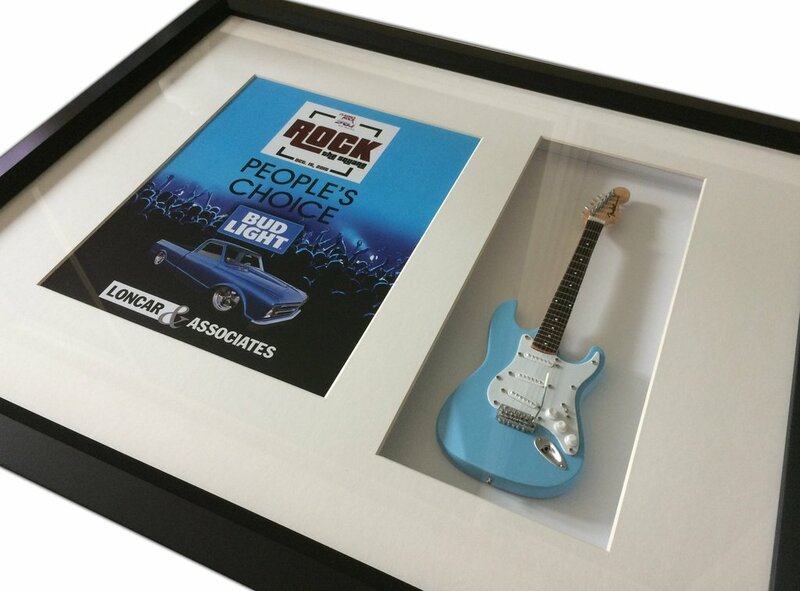 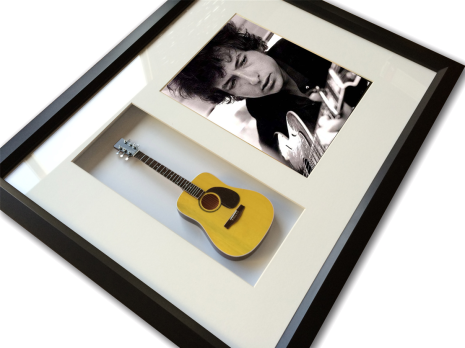 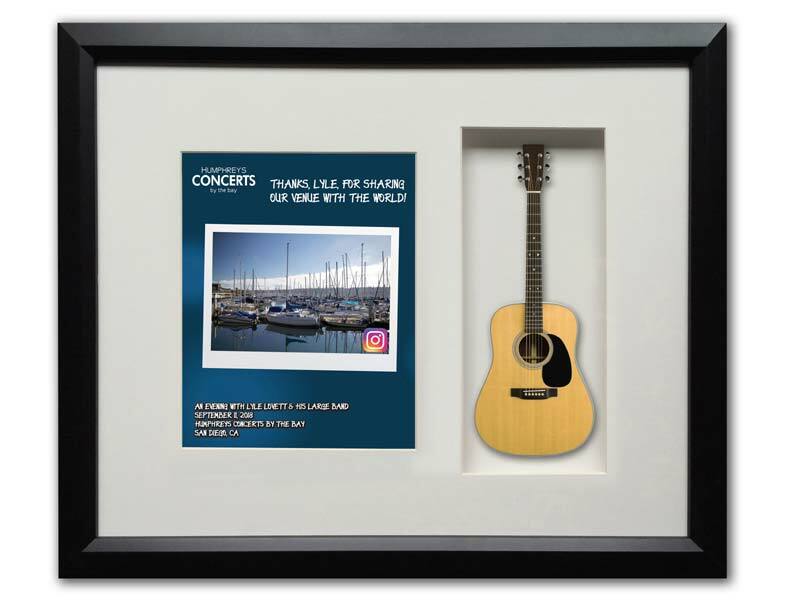 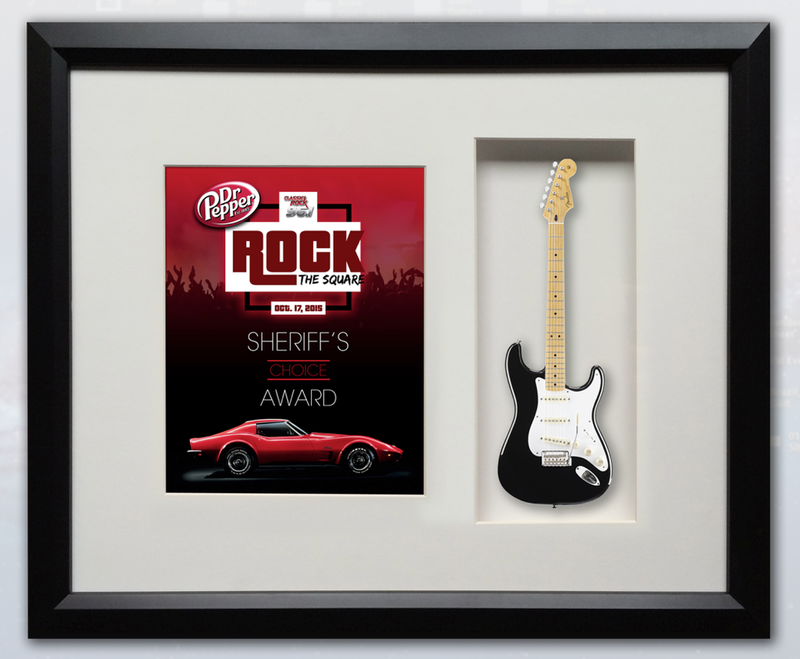 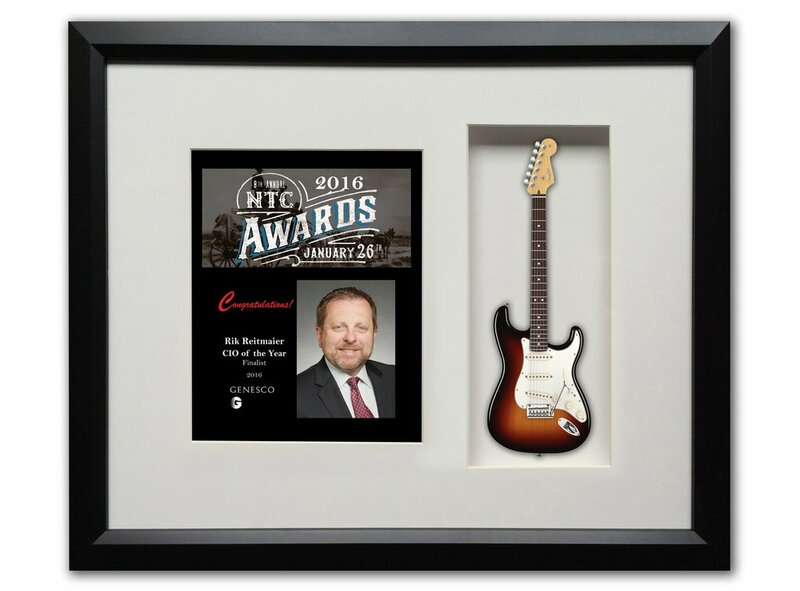 AXE HEAVEN® offers the customized 22″ x 19″ Shadowbox Guitar Award, which includes a 10″ Miniature Guitar and custom document. 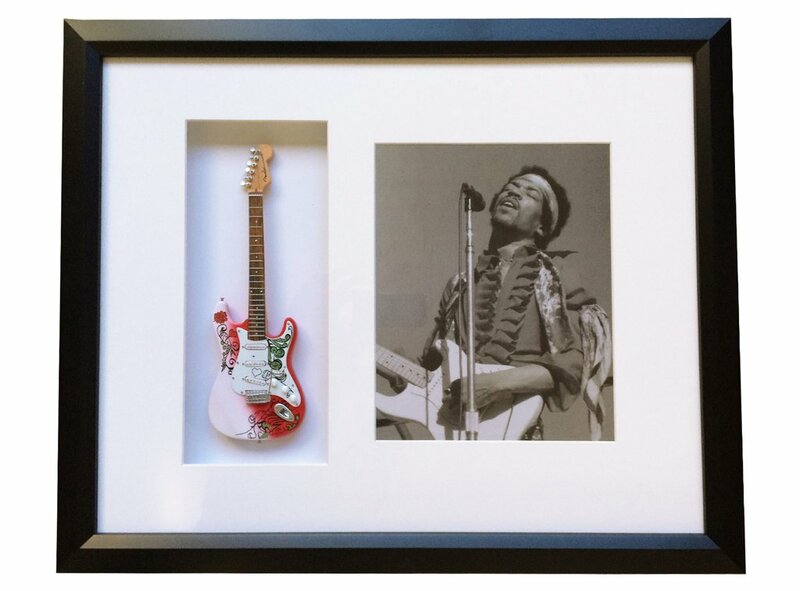 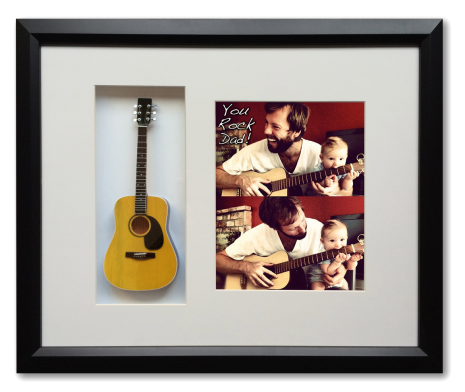 The mini guitar collectible in the wood-frame shadowbox is handcrafted from real wood and has all-metal tuning keys. 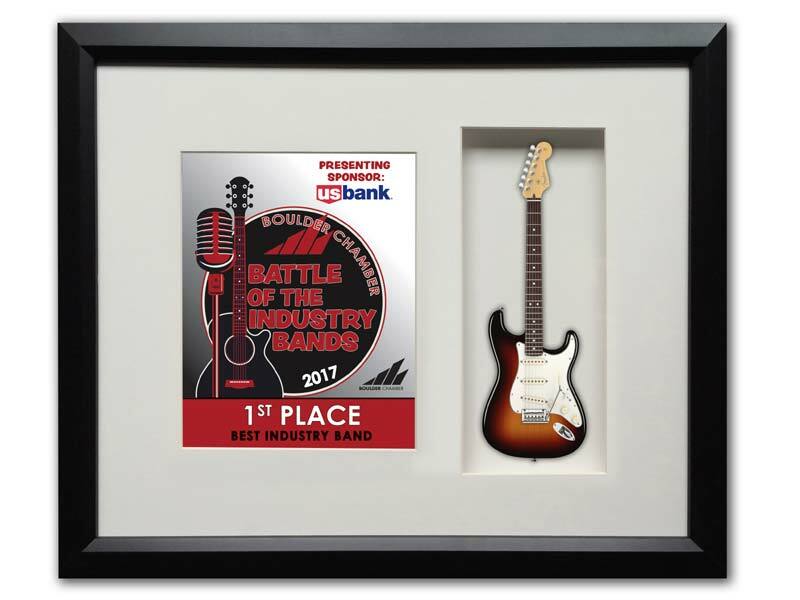 Choose from over 100 stock models, from a Licensed Fender™ Stratocaster™ or Telecaster™ to a double-neck axe or classic acoustic model. 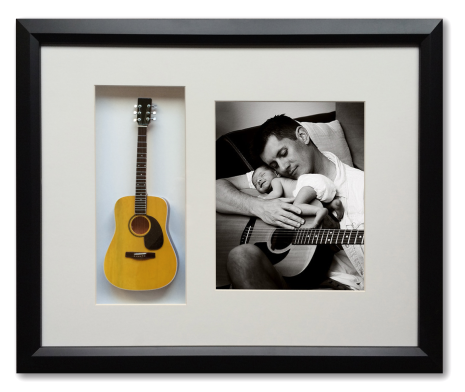 Available for shipping in 1 to 2 weeks.